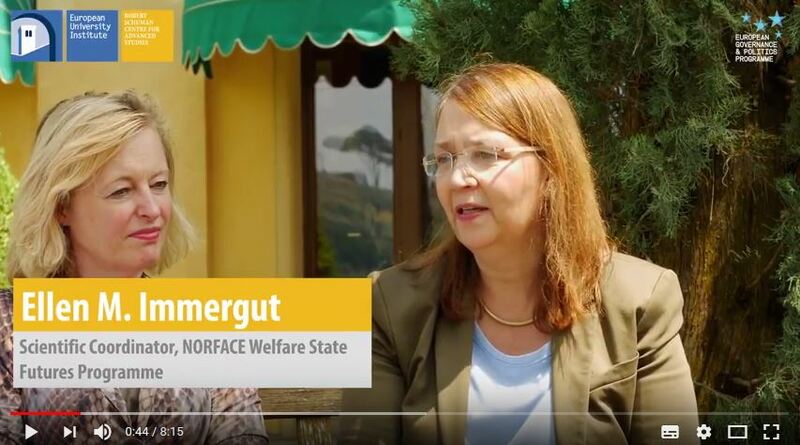 On 24-25 May 2018, the Final Conference of the NORFACE Welfare State Futures (WSF) research programme was held at the European University Institute in Florence, Italy. A video from the Final Conference, featuring an interview with WSF Scientific Programme Coordinator Prof. Ellen Immergut and former Dutch Minister Jet Bussemaker, can be watched online. With 141 participants, the Welfare State Futures Final Conference of the Welfare State Futures Programme provided a forum for the fifteen transnational WSF research projects to present central findings of their research and discuss them with international experts from both scientific and policy perspectives. Participants of the conference included former Ministers, Ministry officials and representatives from the European Commission, the OECD and the WHO. The conference was the concluding chapter of the projects’ three years of transnational innovative research on the future of European welfare systems.